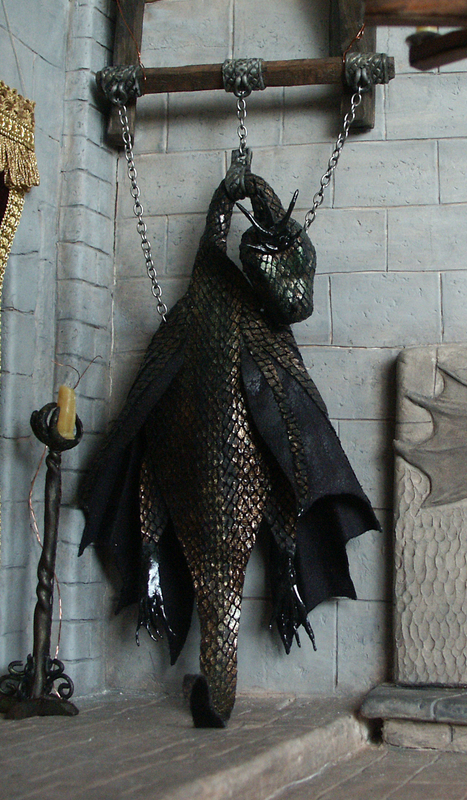 This Dragon Skin pack includes fabric for the Dragon Skin and wings. 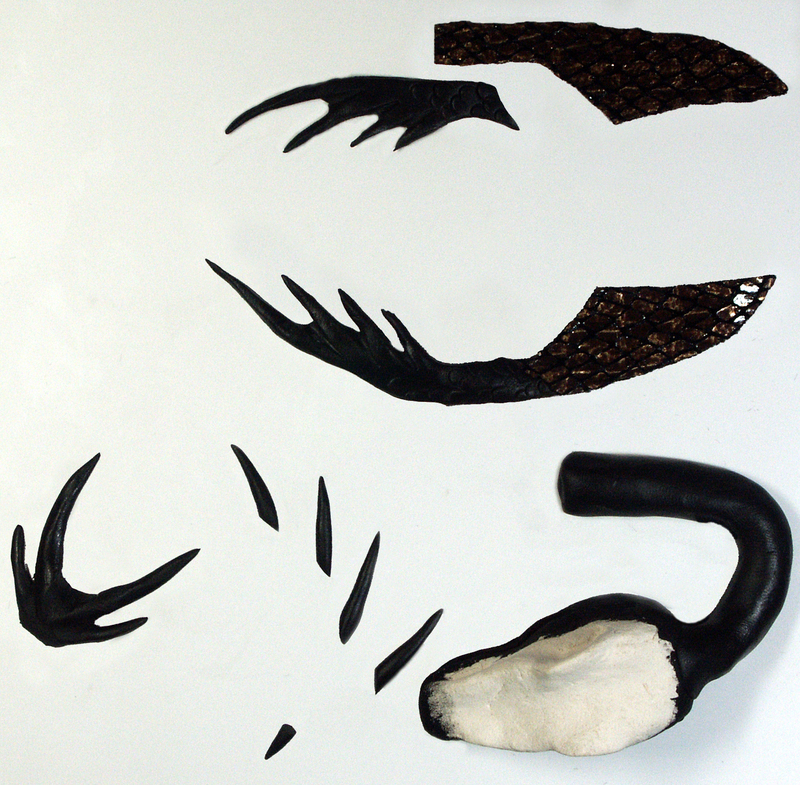 Also included is enough black, white and translucent Fimo to make the neck, feet, horns, spines and teeth. 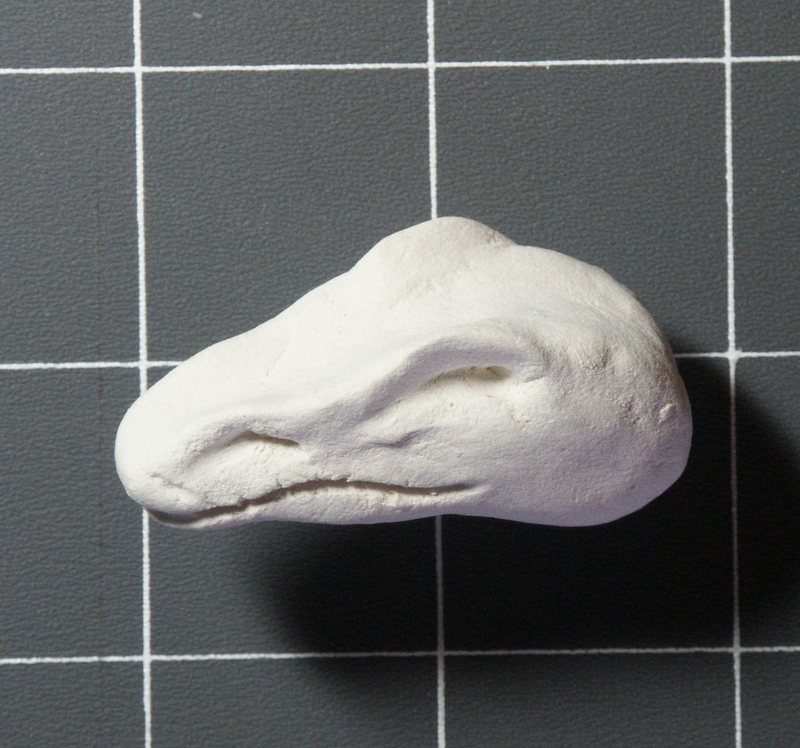 Paperclay dragon 'skull' form included in kit.